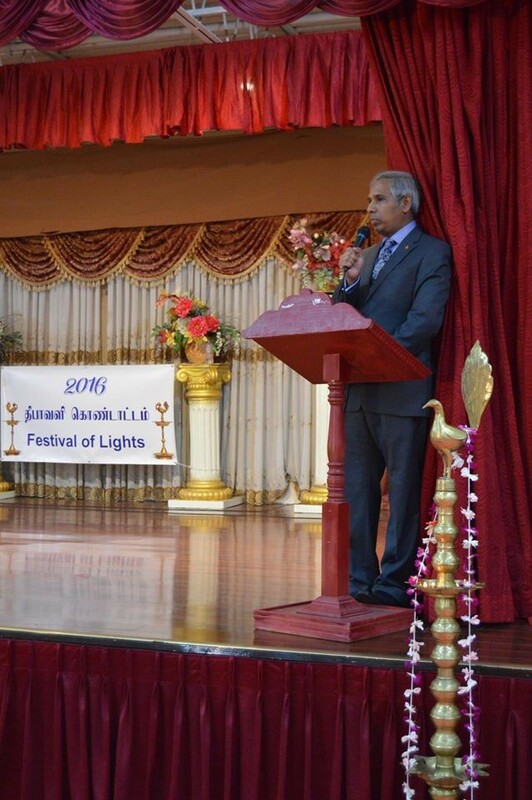 The Sri Lankan Community in the Greater Toronto Area organized an event, in co-ordination with the Consulate General of Sri Lanka, to celebrate the Deepavali Festival, bringing the Sri Lankan community together on 30th October 2016 at the Periya Sivan Temple Hall, in Scarborough. Members of Federal Parliament, Hon. Iqra Khalid, Hon. Salma Zahid, former Member of Parliament Mr. Joe Daniel, Toronto City Councillor Mr. Jim Karygiannis, Deputy Chief of Toronto Police Richard Stubbings, Representatives of the Royal Canadian Mounted Police, President of the United Nations Association in Canada were among those graced the occasion and greeted the community. Felicitation messages were issued by Members of Federal Parliament Hon. Bob Saroya and Hon. Shaun Chen. The events included, a talk on the significance of Deepavali by Mr. Kanagasabapathy from Montreal, Veena performance by Mrs. Sivapriya Thuseenthiran, a group dance choreographed by My. Nilantha Karunarathna. Consul General U.L. Mohammed Jauhar, in his address, said that the abstract meaning of the festival is a symbolic display of the triumph of light (good) over darkness (evil) though there were several different legendary beliefs for Deepavali celebrations. Quoting from the Deepavali Message of His Excellency the President, Consul General requested all community members to take forward the President’s message and to work towards strengthening coexistence through reconciliation and to strengthen harmony with everybody. 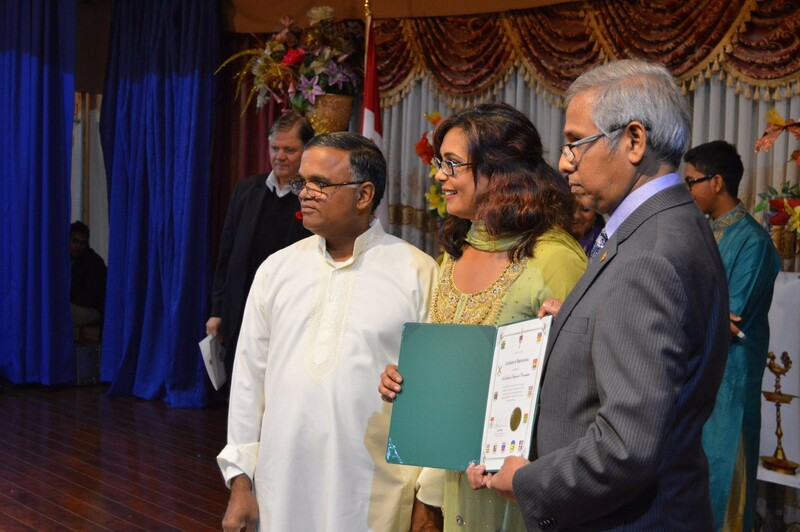 Consul General also commended the members of the organizing committee headed by Mr. Sivam Vinayagamoorthy and the participants, comprising all Sri Lankan communities, for their hard work, in support of the Consulate General’s initiatives, including the Sri Lanka Day, with a view to bringing mutual understanding among all Sri Lankans. Prominent community members generously donated refreshments for the gathering which was around 450 participants. 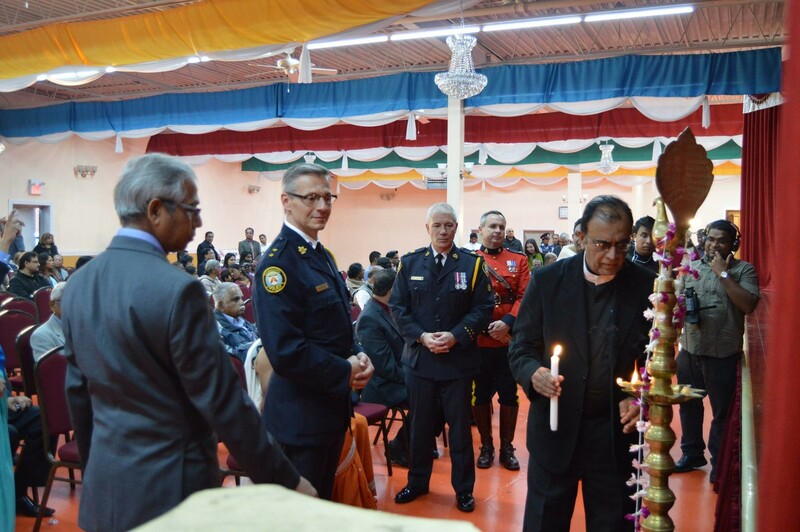 In addition to Hindus, many Buddhists, Muslims, Christians, Malays representing over 30 Sri Lankan Associations in the Greater Toronto Area as well as from Montreal attended the event.